Joe Webb was working at Lumber Mill No. 2 in Corker, Alabama, on a late August morning in 1925. He was clearing out the surplus of lumber blocks on the second floor by scooting them over to the ledge and then hurling them out of the opening onto the courtyard. He was singing 'See See Rider' to himself to keep a steady pace. 'See (pick up)... see, rider (swing, release)... see what you (pick up) done done (toss)...' He got to the part in the song where the depersonalized, objectified 'rider' elicited real emotion from the composer by 'making him love her' and he got a little choked up mid-swing. Thankfully this forced him to reorient himself, instead of mindlessly completing the mechanical schema he was engaged in - in doing so, he noticed J. Greely McGowin down below just about to get pulverized by a flying pine block. Joe Webb did the only thing an honorable man with lingering misgivings about paying money to defile a rider, once, over in a Mississippi cotton field, could have done - he hurled himself along with the pine block in order to divert it from causing Mr. McGowin certain death. 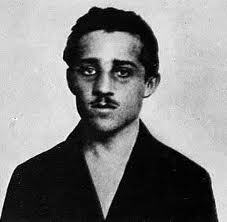 He initially felt like a Wright Brother soaring gloriously, a feeling which turned suddenly more closely to a Francis Ferdinand meeting of Gavrilo Princip as he met the ground next to J. Greely. His right arm and leg broke and his right heel tore clean off. McGowin paid Webb $15 every two weeks for the rest of his life, until his savings from his days as a purported 'female' prostitute in Mississippi depleted and the only asset he had left was the 100 acres of timber he lived on. At that time he converted the payment to Webb into the 75 pound pine block equivalent of cash, which stacked up in Webb's bedroom quicker than anyone anticipated. When the last block was wedged in, hermetically sealing Webb off from the cruel world of easy riders and confusing sexual identity issues, Webb emptied his carafe of Amontillado onto his sheets, offered a toast of his empty glass to no one, then tossed it like a pine block onto the floor crushing an empty cicada shell, and then fell asleep for the last time. I want you to interpet all cases of importance on OYIT this year. This is very funny. I always said there weren't enough stories involving lumber on OYIT. moral consideration, schmoral consideration. I don't buy it. Bunch of damn liberals on the bench.